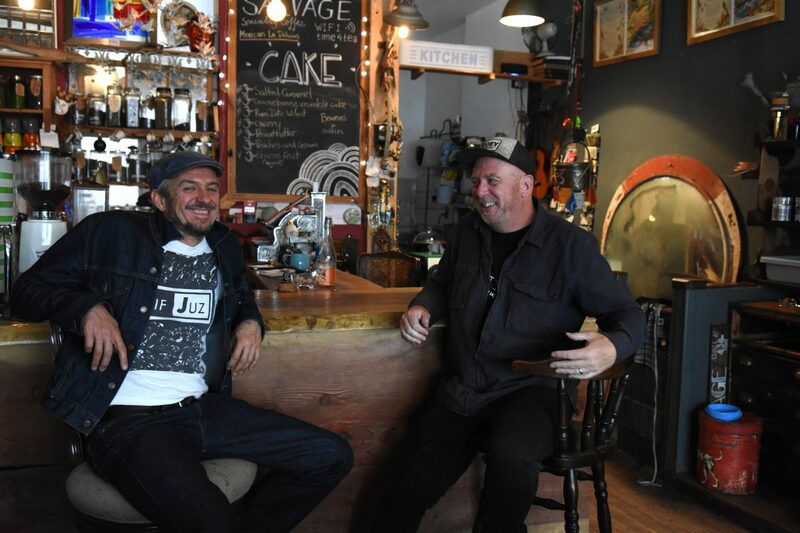 Lost Horizons, the collaborative project formed by Simon Raymonde of Cocteau Twins and Richard Thomas of instrumental quartet Dif Juz, will release their new album 'Ojalá' this Friday via Bella Union. The album features lots of guest performances, including Tim Smith (ex-Midlake), Sharon Van Etten and Karen Peris (The Innocence Mission). Now, the duo share the video for 'Score The Sky' (featuring The Duke Spirit's Liela Moss), as well as new song 'I Saw The Days Go By' from the album, which features Marissa Nadler on guest vocals. Listen/watch both below. While you're at it, also read Simon Raymonde's track-by-track guide through 'Ojalá' via The Line Of Best Fit. Lost Horizons perform at Le Guess Who? 2017 on Sunday, 12 November, curated by Perfume Genius. Also performing that same day are a.o. Mary Margaret O'Hara, Perfume Genius, Sun Ra Arkestra, Tune-Yards, Aldous Harding, Jane Weaver, Julianna Barwick, and many more.